It’s spring! 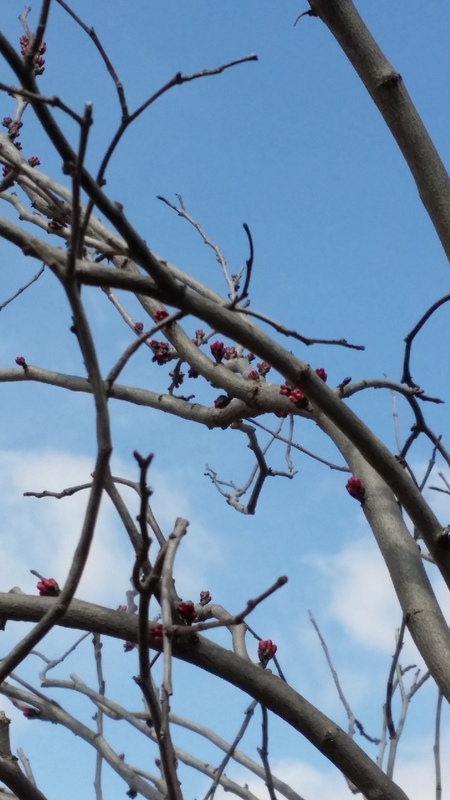 And at least one of the Redbuds (Cercis Canadensis) knows it. It’s starting to bloom. One of the things I like about Redbuds is that their flowers bloom along their bare, woody branches before the leaves come out for a wonderful, colorful structural effect. It’s native here, and grows wild everywhere and in gardens everywhere and is very common. Sometimes common is good. This entry was tagged Cercis canadensis, color, Redbud, spring, structure. Bookmark the permalink. I met Redbud in my first Virginia spring and thought it stunning. How lovely that it’s all around you. I agree, it is a wonderful tree. I have planted 15! of them interspersed with Dogwoods. ..both are more than just one-season plants, with good leaves, nice shapes as well as spring flowers.